red arrow – pilots of distinction, originally uploaded by thehutch. Last week I had the priviledge of seeing the red arrows on 3 consecutive days – 1 flypast and 2 displays. Each year, at least one of their displays is on my “must see” as they are so spectacular. Despite their incredible aerobatic displays, safety is paramount. 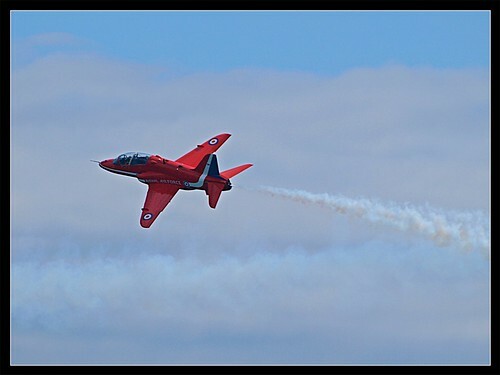 At Eastbourne 2011, one display was turned into a flypast due to cloud conditions. I think that is what makes the accident this weekend so difficult to comprehend and the loss of a pilots life is so sad. The current grounding of the team is understandable but in my heart, I want the Reds to fly again, they are a great team with amazing talent – my prayers are with the whole team. ← is it all negative?